Mercedes sends DTM driver Susie Wolff in the C250 diesel coupe to meet up with some skater girls in Spain. What&apos;s the best way to show off a luxury car? Why, take it to Spain with some skateboarders, of course. That&apos;s what Mercedes did with its new C-Class Coupe. The German automaker sent the Sport model along with DTM driver Susie Wolff to meet up with the Longboard Girls crew in Mallorca for a bit of fast-paced fun on the twisting mountain roads. The Longboard Girls Crew Madrid enjoy speed and the C-Class Coupe serves up both. Or at least it does in AMG trim. 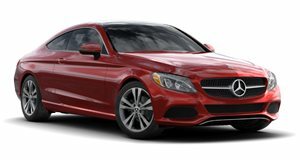 The model in the video, however, is the C250 diesel, with a twin-turbo inline-4 rated at 204 horsepower and 369 pound-feet of torque. Not bad for a diesel, but hardly the touring car Wolff is used to racing.